The beautiful and tropical city of Nice in the French Cote d’Azur has become a popular gay holiday destination in recent years. The city organizes many LGBT events and you can find tons of gay bars and parties all over town. As a lesbian traveler, it’s often difficult to find interesting places to visit in gay-oriented towns. So we spent 3 days in Nice France and tried to gather as much information as possible for lesbian travelers. Disclaimer: The Tourism Office of Nice invited us to explore their city in search of LGBT culture in Nice. We’re very thankful for this opportunity! In this article, we gather the information we found for lesbian travelers. All opinions are our own and we only list the places we believe are useful and interesting for our readers. Nice is one of the most budget-friendly cities in the French Cote d’Azur. Located in between upscale destinations like Monaco and Cannes, Nice is a great option if you’d like to spend a little less money. 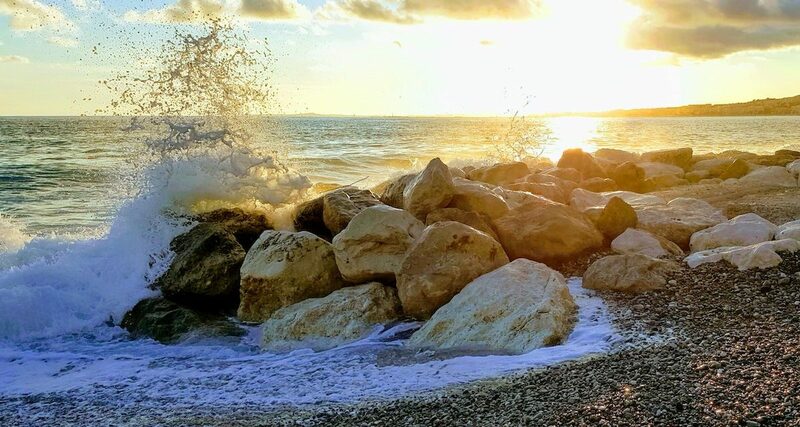 The city has a beautiful setting on the Mediterranean Sea. Palm trees greet you as soon as you get out of the airplane. The area has a mild climate all year round so it’s a perfect destination to escape the cold during winter months or to soak up some sunshine during the summertime. If you don’t have much time, 3 days in Nice might be enough to get a feeling of the city. We, on the other hand, could easily spend a few weeks (or months) in this lovely place. Don’t forget to add a few extra days in order to plan some day trips in the area. 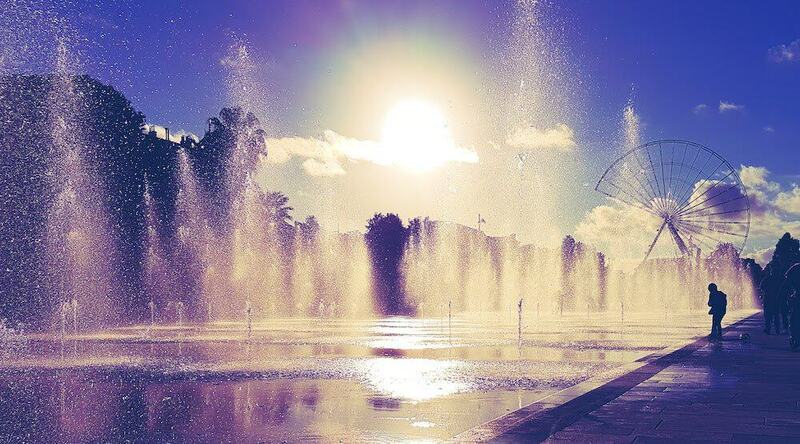 Nice is a very beautiful city to visit any time of the year. The area has good weather year round and even in winter, temperatures are mild. We especially loved the promenade by the water and the Old Town, but there are also loads of cultural and artsy places to visit. We listed a few places in this article. Scroll to the bottom of the post to see all of the places in a map. In the Old Town, you’ll find dozens of narrow and winding streets, filled with cozy bars and restaurants. These are the type of little streets you want to get lost in. You’ll typically need an hour or 2 to wander these streets, but don’t be surprised if you end up spending much more time wandering the Old Town. The Promenade Du Paillon is a beautiful area inside the city park. We loved it a lot, because of the field of fountains. It’s an amazing location to sit for a while and watch the city life unfold. This place is also great for photography! Take a walk by the water to watch the sailboats or just sit and relax. The Promenade des Anglais is a busy and lively place where locals and tourists come to enjoy the views. Castle Hill Nice offers some of the best views over the city, the sea, and the surrounding area. You can either walk up with the stairs or make use of the free elevator to take you to the top of the hill. On the top, you can look out over the city, relax in the park, or visit the beautiful ‘cascadas’ or waterfall. The Museum of Modern and Contemporary Arts in Nice has different expositions every few months. It’s a highlight for art lovers. The MAMAC isn’t the only location in Nice where you can admire art and you’ll encounter many art galleries as you walk through the city. Each year, Nice is the location for different art festivals. When we were visiting, the Ovni Film Festival was taking place. This event was quite special and we saw a few interesting independent film productions. Make sure to visit at least one of the local markets in town. Each morning, the Farmers Market at the Cours Saleya is bulking with fresh produce from the area. At this market, delightful aromatic scents and the smell of flowers welcome you. Local vendors sell fresh ingredients like fruits, vegetables, cheese, and healthy snacks. The morning market is an awesome pass time where you can get high-quality products. Cours Saleya is located in the Old Town and very close to the waterside boulevard. You can check the exact location on the map below. On Monday, there’s an antique market instead of a farmers market. Nice has a perfect location to organize a few memorable day trips. You can get from Nice to Monaco or Cannes by train within 30 minutes. The surrounding area is also perfect for hiking. During the winter months, you can even go skiing in the mountains. 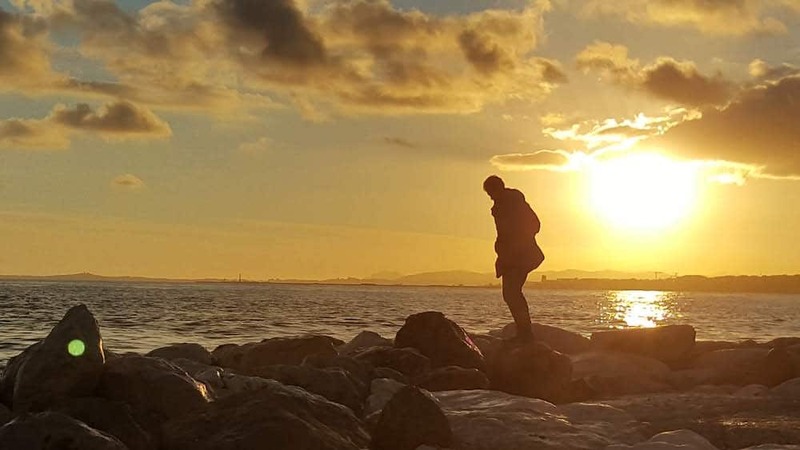 Let’s dive into the LGBT scene of Nice! The city of Nice has become a very gay-friendly city over the last decade. 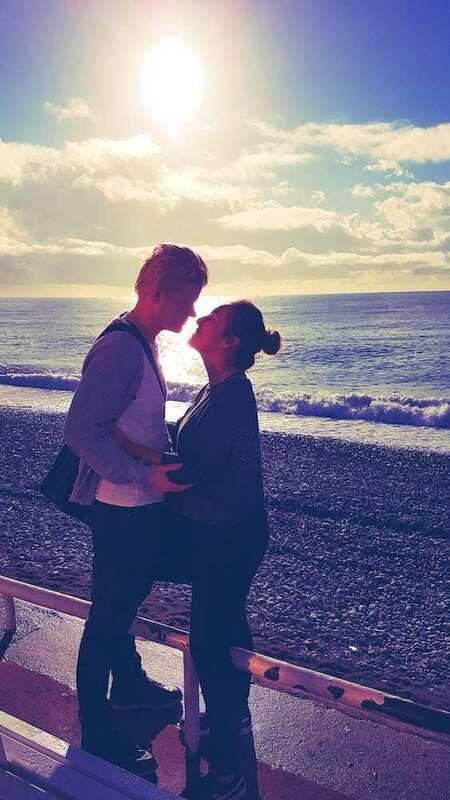 We noticed many gay couples wandering the beach, the promenade and the cozy winding streets of the Old Town of Nice. Gay travel bloggers already listed the many gay bars and cruising spots for men in the past. 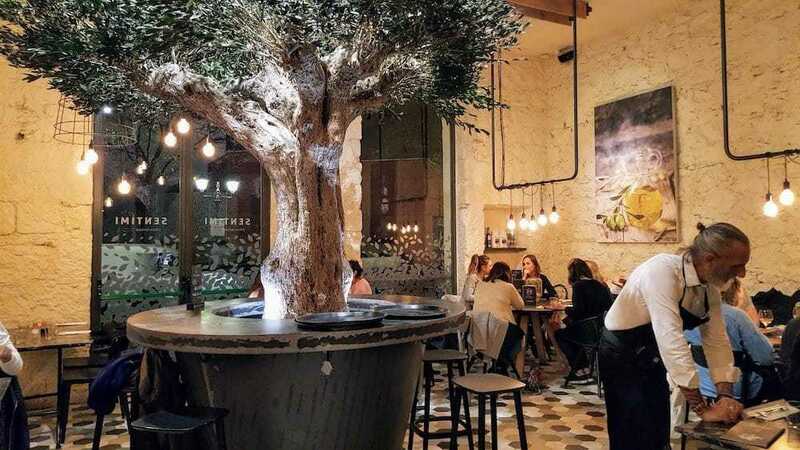 Many hotels and restaurants in Nice carry the label of ‘Irisée Naturellementé’ which is a certification that establishments can earn once they complete a training. 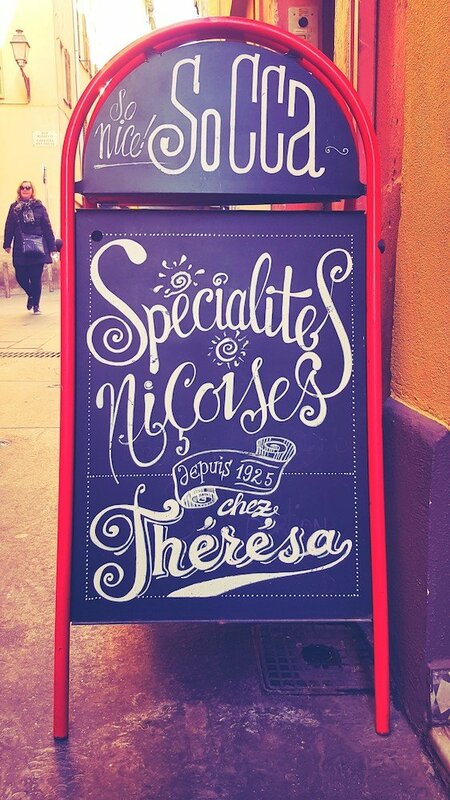 Our biggest question was: is the city of Nice also a hotspot for lesbians? Here’s what we found! Nice doesn’t really cater to lesbian women in terms of bars and parties. There are some parties every once in a while, but they’re quite difficult to find. 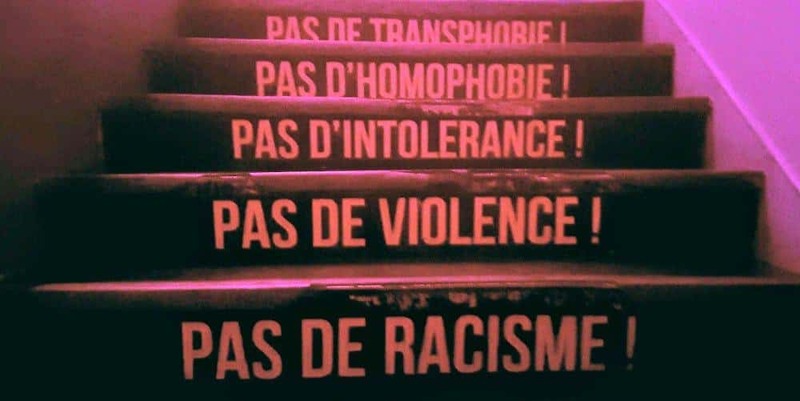 You can check the LGBT Facebook page of Cote d’Azur and the Caram’Elles Facebook page. We’ll discuss the lesbian organization Caram’Elles below. The Windsor Hotel is an authentic and artsy hotel in the city center. Some of the rooms are decorated by artists and the hotel has a lot of charm. It is one of the hotels which is recognized as LGBT friendly by the city of Nice. The Sentimi Italian Restaurant is super LGBT-friendly! The inside of the restaurant looks awesome and the food is amazing! 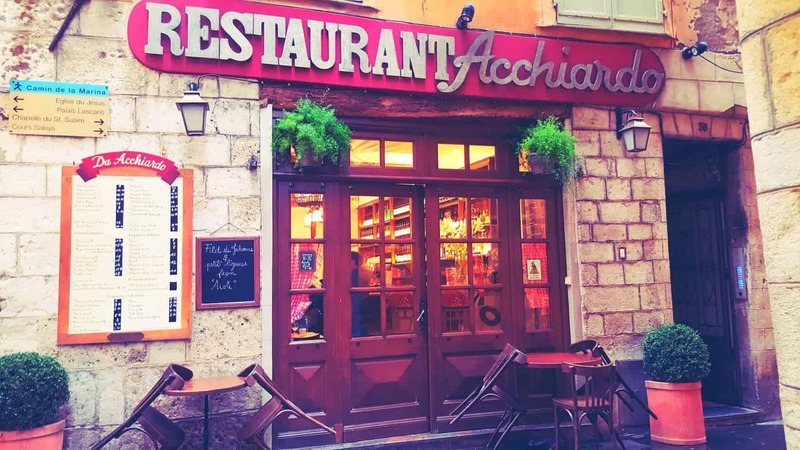 Chez Acchiardo restaurant is located in the Old Town of Nice. They’re a certified Cuisine Nissarde. The food is amazing and the place is very cozy. The Hard Rock Cafe Nice offers great food, like every Hard Rock Cafe we visited in different places in the world. With the typical cool decorations and a Hard Rock shop, you can’t go wrong with this one! The HRC Nice is located on the promenade by the water, so this place is great for dining with a stunning view. 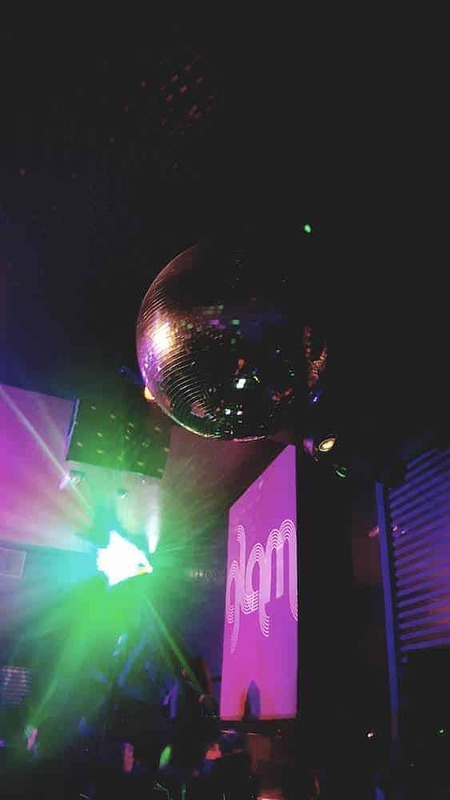 Le Glam is the place to be for lesbians in Nice. It’s a mixed audience bar in the city center. When we visited, there were men, as well as women having a great time in this nightclub. Lesbian night life in Playa Del Carmen - Does it exist? 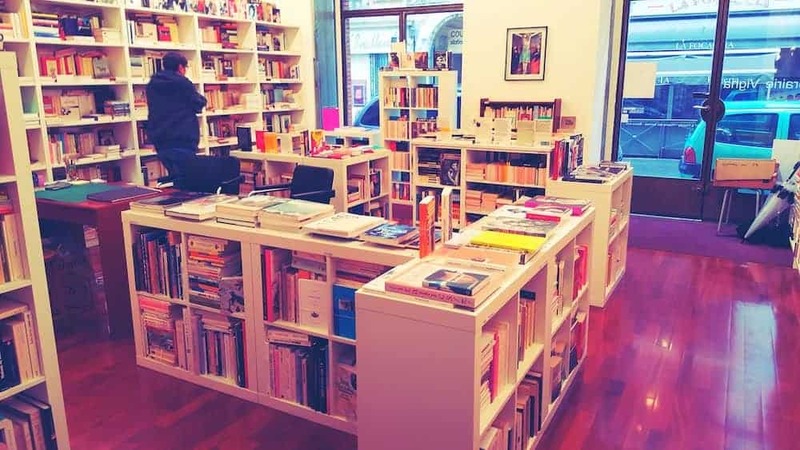 Libreria Vigna is a lesbian-owned bookstore in the Old City. You can find new, as well as used books on LGBT culture in this bookstore. The Librairie Vigna mostly offers French books, but they also have a small section with English books. 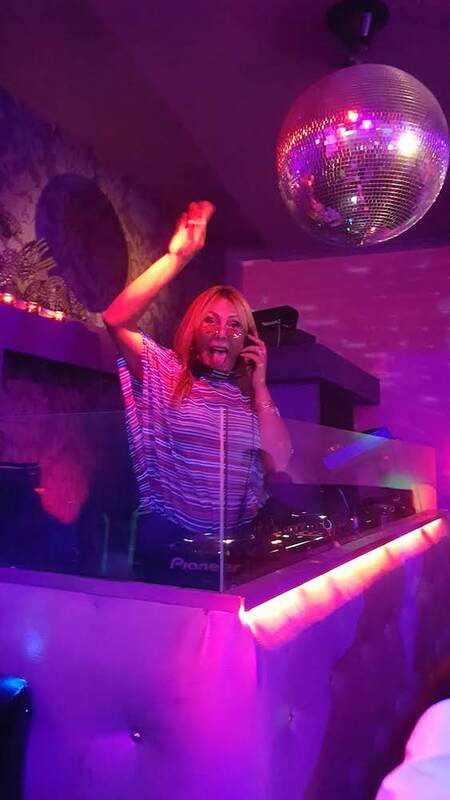 Caram’Elles is the largest organization for lesbians in the French Riviera area. Even though they’re mostly oriented towards activities for locals, you can also attend their activities while traveling. The Caram’Elles organization welcomes lesbian and bisexual women, but also transgender, gender nonconform and everyone else in the broad LGBTQ+ spectrum. Activities include sports like soccer, badminton, swimming, jeu de boules, cycling, and hiking. The organization regularly plans drinks and friendly meetings. 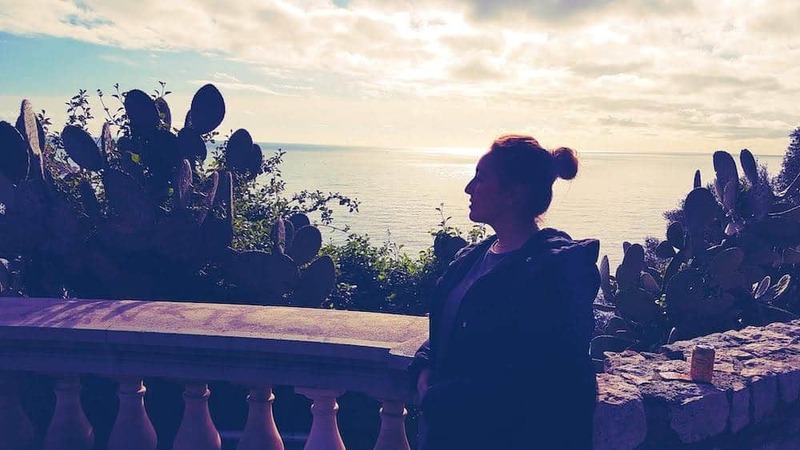 They’re leading the LGBT and feminist activist culture in the French Riviera. If you plan on meeting other lesbian women or get involved in the local LGBT culture, Caram’Elles is the place to be! You can easily send them a message through their Facebook page. The LGBT friendly places in Nice can be recognized by the rainbow flag they advertise in their windows. The rainbow flags can either be simple and basic rainbow flags, which are there to tell you that the establishment is LGBT-friendly. But you can also find the LGBT stickers that are recognized by the city of Nice. These rainbow signs are given to the establishments who have successfully completed a course in order to be recognized as LGBT-friendly. See the image below! 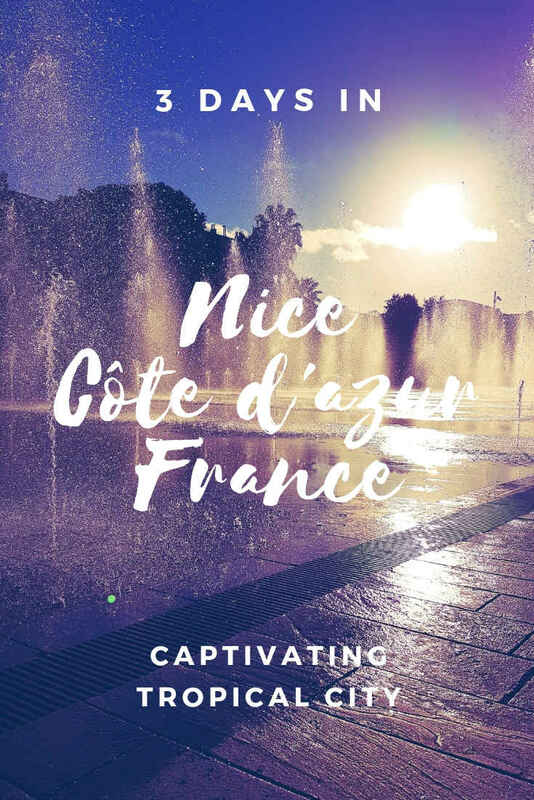 Download the LGBT Guide to Nice here! Interesting train trips Europe - Did you know about these? Each year, you can attend the LGBT visibility march in Nice. The event is held each summer. In & Out is a queer film festival that is held in Nice and Cannes, usually in June. As you can read, Nice is a great place to visit. Aside from some exclusively gay bars and clubs, all the other LGBT-friendly establishments are welcoming to everybody. 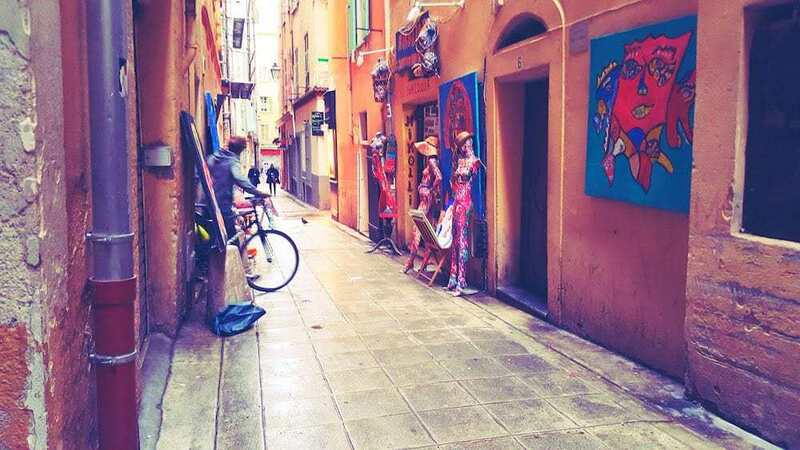 In Nice Old Town, it’s easy to find great bars and live music venues where you can have a great night out! At the time of writing, there are no bars that are specifically for lesbians. But if new bars open or interesting events arise, we will definitely update this post to let you folks know about it. Have you been to Nice or are you planning a visit to this lovely city? Let us know about your experiences in the comment section below. Next14 of the Most Beautiful Castles in Hungary – Get your Medieval on! It’s great that such a beautiful place is so LGBT friendly! I mean, everywhere should be, but the world unfortunately isn’t quite like that yet. It’s so nice though to be able to go somewhere and just feel totally comfortable to just be, that’s so important and what a place too. I had a long term home exchange in Palamos on the Mediterranean and enjoyed in tremendously. I wish I had gotten to stay a bit in the French Cote d’Azur but I only had a day in Toulon. 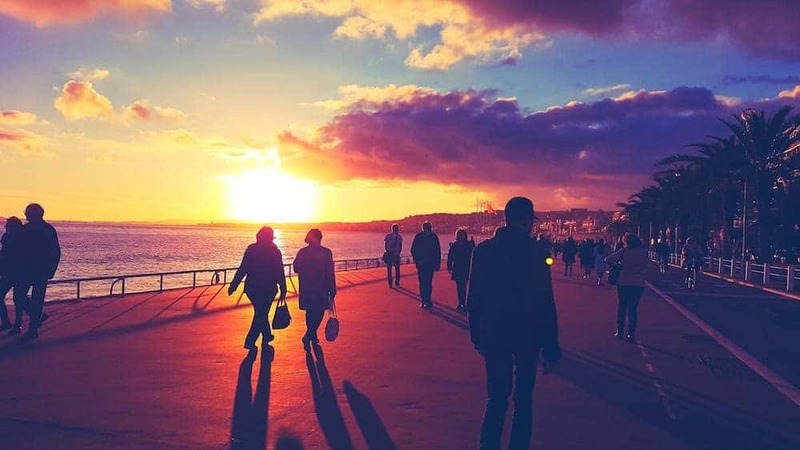 I would like to stroll the Promenade des Anglais. Nice is one of my favourite getaway destinations from the UK and usually go once a year. Have to admit I didnt know about the LGBT scene here but its great to see the city is LGBT friendly. Hopefully everywhere will be like this one day. Love reading the places you checked out but never did the MAMAC, maybe next time. Thanks for your kind words. 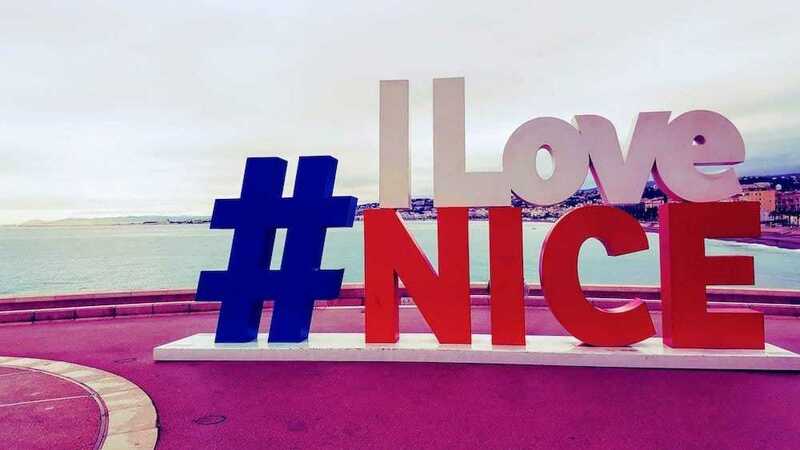 We love that Nice is making such great efforts for the LGBT community too. In addition to the LGBT friendly vibe, the city itself is full of things to see and discover. Do you have any suggestions for us for our next trip to Nice? 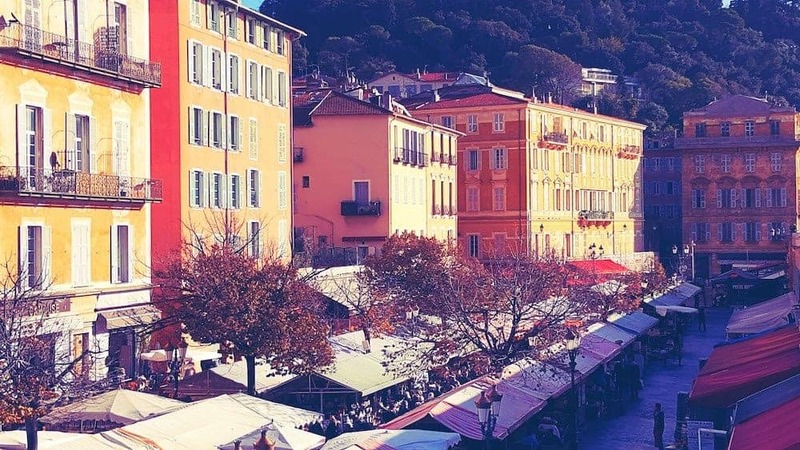 Like you, we loved Saleya Market and, yes, such a nice spot between Monaco and Cannes! Nice is one of my bucket list places! It’s nice to know that it won’t break the budget like neighborhing Cannes and Monaco could. City’s Old Town areas are usually some of my favorite, but of course the beach and promenade would be a highlight in a place like this. I’m intrigued by your picture of the fountains and in particular, the ferris wheel, any idea why part of it looks missing – is it an optical illusion with the water?? 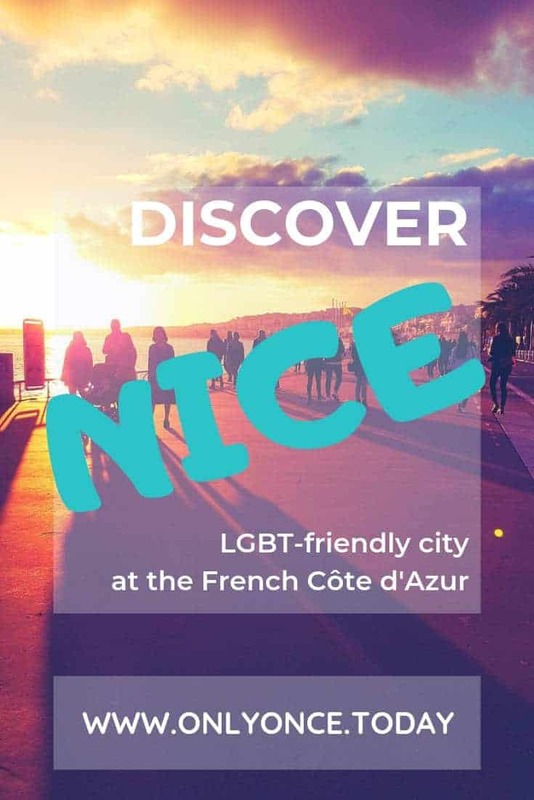 I love the fact that Nice tourist office has worked with you on a guide for LGBT+ spots in their city. I love exploring good bars and I feel a lot of the LGBT+ bars you have described seem like they have a great vibe! I really want to go to Nice and the area being so accepting has made me want to go more. I hope everywhere ends up like this one day! I’ve been to NIce but didn’t know much about it; though Castle Hill I do rememember. Looks like a great place to visit and plenty of things to get into. I only recognized the Hard Rock from the post but several of the hotels caught my eye for the next visit. Thanks for sharing. I just love Nice it’s beautiful and there is so much you can do. I didn’t know about Castle Hill, definitely adding to my list for next time. I didn’t know it was LGBT friendly, good to hear. Ladies, this is such a cool guide! I visited Nice when I was a 10 (wasn’t even a lesbian back then!) So it’s about time that I pay another visit (as a lesbian! :D) It’s really not that far away from Luxembourg, and we even have direct flights to Nice, so I’m wondering what we’re waiting for. Probably… for this perfect guide from you! haha… Seriously, I didn’t know about Caram’Elles nor In&Out festival! Guess I have to check our planning now and book a flight to Nice. Thanks a lot for sharing this!